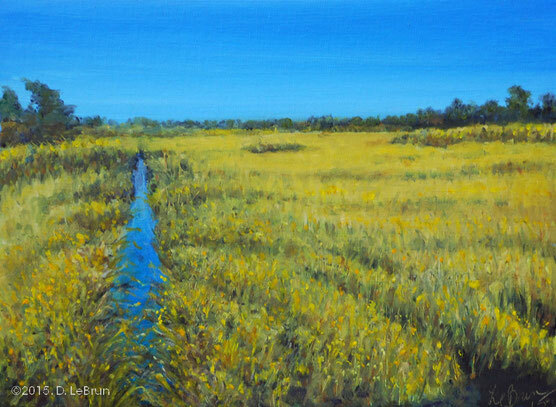 On exhibit at Southampton Artists Association's Fall Show at the Levitas Center for the Arts, Southampton Cultural Center, Southampton, NY from November 2nd to the 13th, 2016. 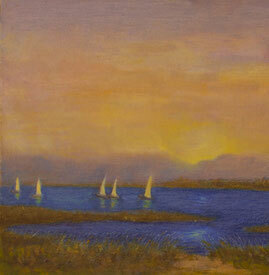 Reception on Friday, November 4th, from 4-6pm. 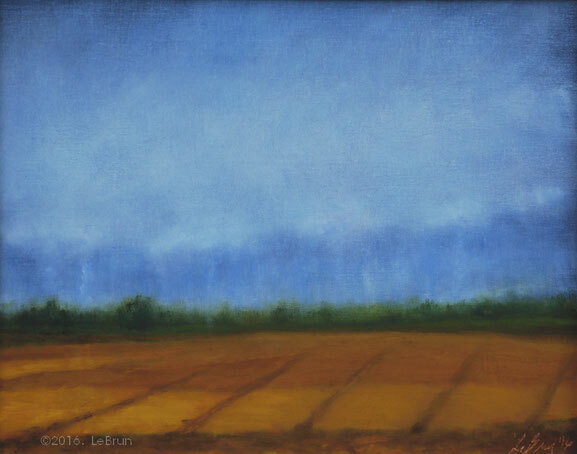 On exhibit at Southampton Artists Association's Late Summer Labor Day Show at the Levitas Center for the Arts, Southampton Cultural Center, Southampton, NY from August 31th to September 11, 2016. 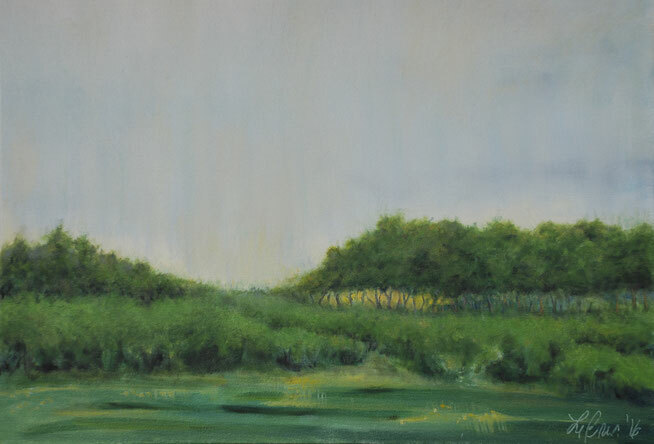 Reception on September 3rd, from 4-6pm. 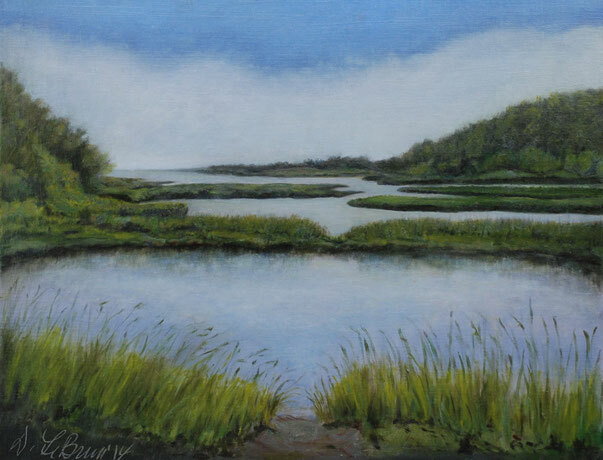 Juried exhibition August 12--27 and auction held at the Castello Borghese Vineyard, Cutchogue, NY for benefit of the Southold Historical Society. 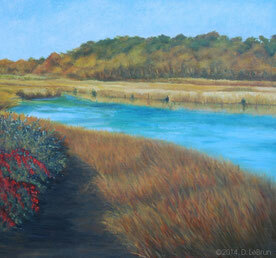 Exhibited at the Guild Hall Museum Artist Member Show, East Hampton, NY from April to June, 2016. 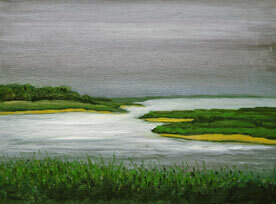 Featuring a limited palette of terre verte (green earth), black, white and ultramarine blue to illustrate a grey overcast day at the shoreline. 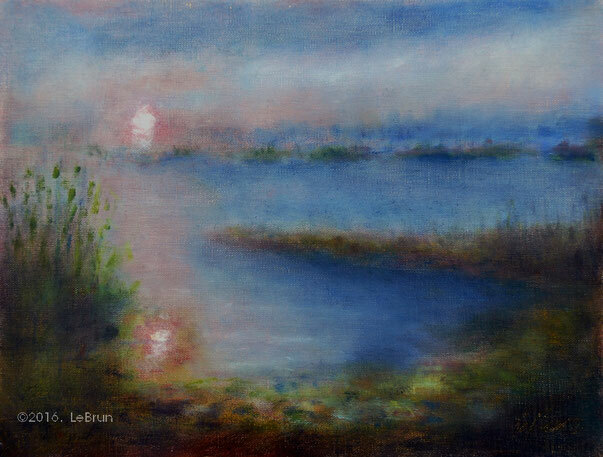 Previously on exhibit at Southampton Artists Association's Spring and Memorial Day Show at the Levitas Center for the Arts, Southampton Cultural Center, Southampton, NY from May 25th to June 5th, 2016. 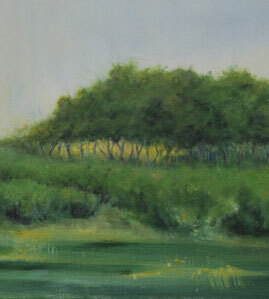 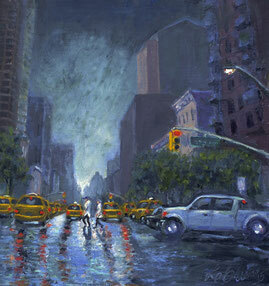 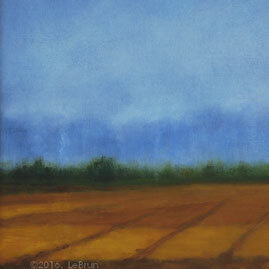 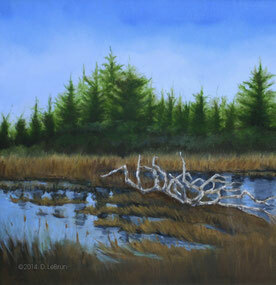 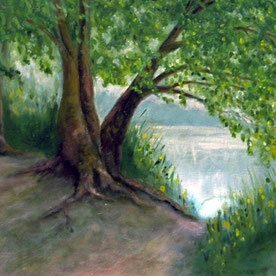 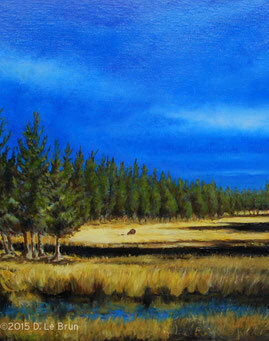 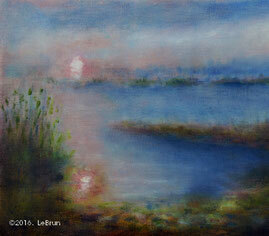 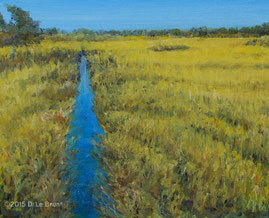 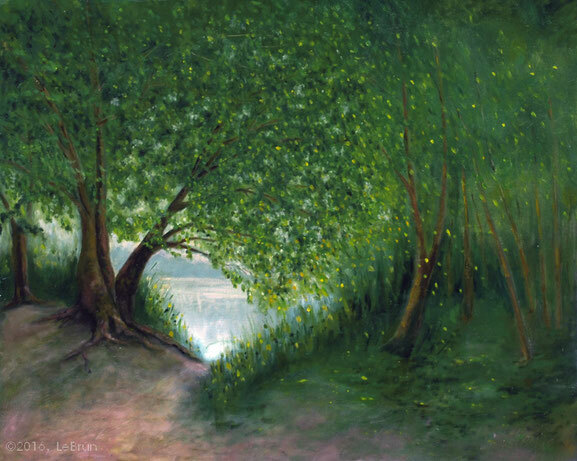 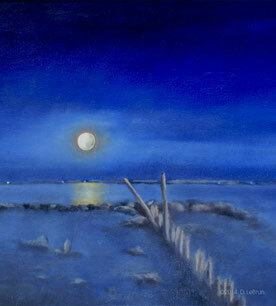 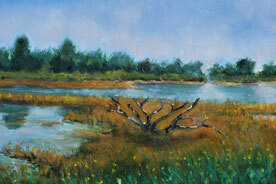 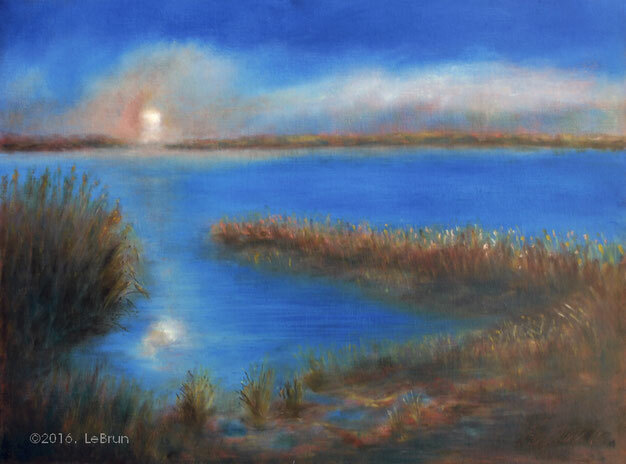 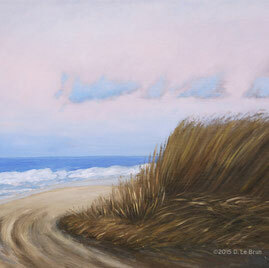 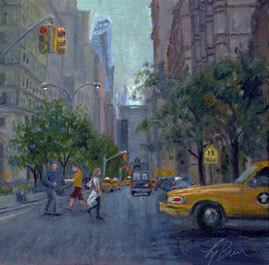 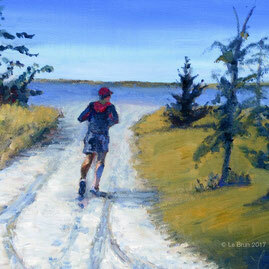 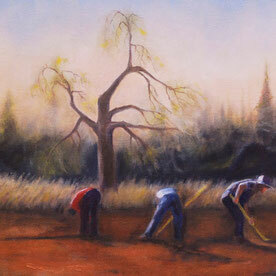 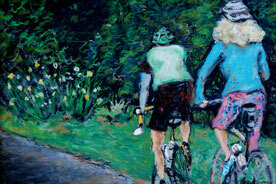 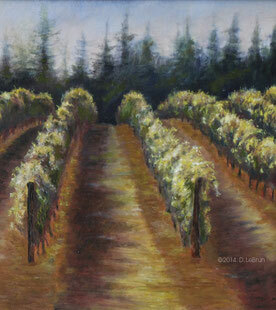 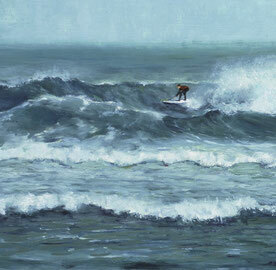 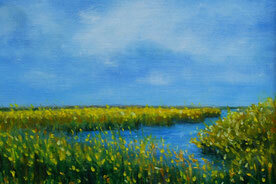 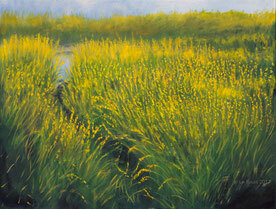 I have created impressionistic oil paintings of rural scenes and seaside vistas. 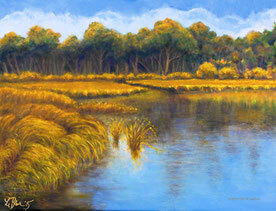 My aim is to capture the subtle plays of light and shade moving across the water and the vibrant colors of the forests and fields of Long Island's East End. 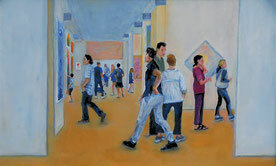 Click on any of the details of paintings shown below to view the entire painting in each section.